Check out a great column on convertible bonds from an exec at Aequitas Advisors. 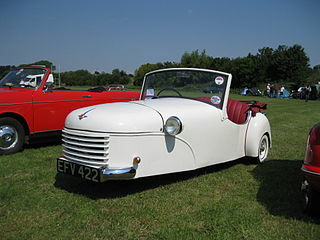 The 1951 Bond Minicar convertible. Photo courtesy of Mighty Antar. This entry was posted in Banking, Corporate debt, Corporate finance, Credit markets and tagged banking, capital markets, Credit risk, Financial services. Bookmark the permalink.